Carrowmore is located between Carndonagh and Moville near the village of Gleneely. 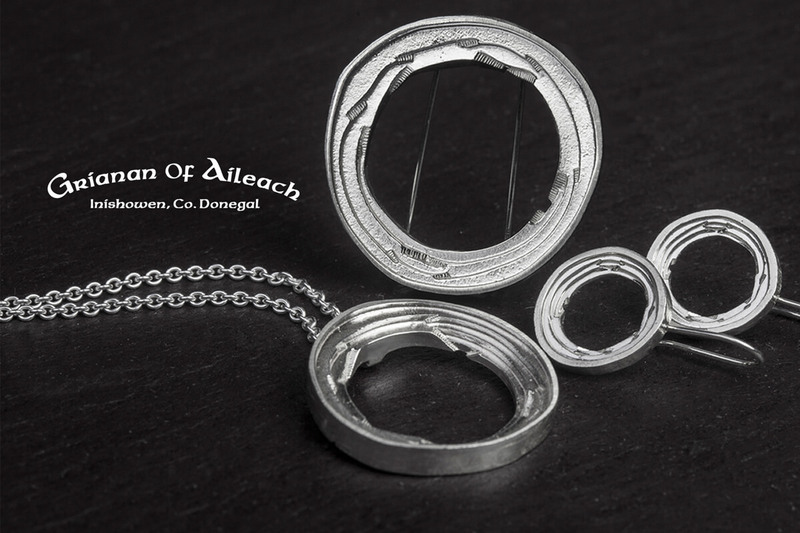 It is the site of Both Chonais Monastery, said to have been founded by Conas, husband of Dareaca, a sister of St. Patrick. A modern road cuts through the site with a standing cross on either side. The west side of the road contains some evidence of the original monastic enclosure. 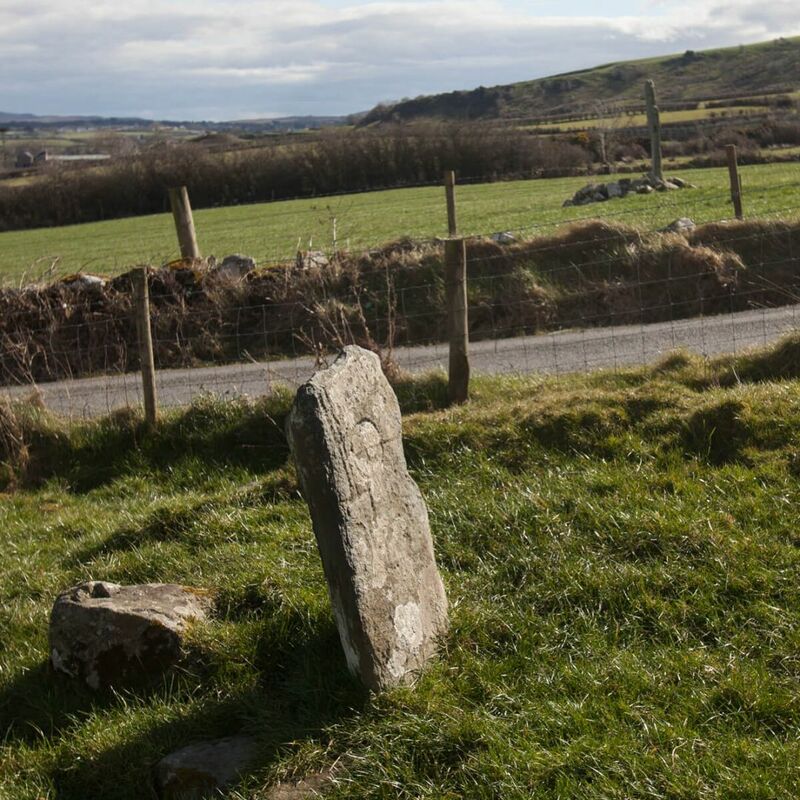 Archaeologists carried out excavations at Carrowmore in 2012 and 2013. 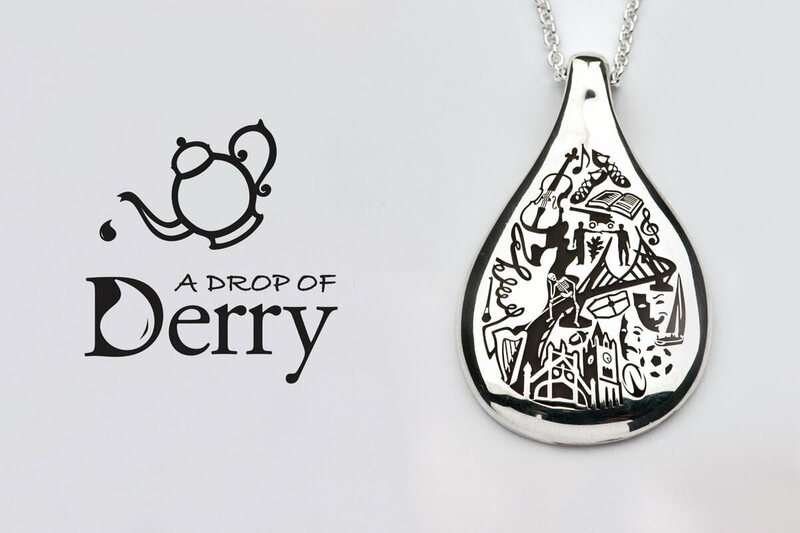 Sean Beattie has written about their finds. 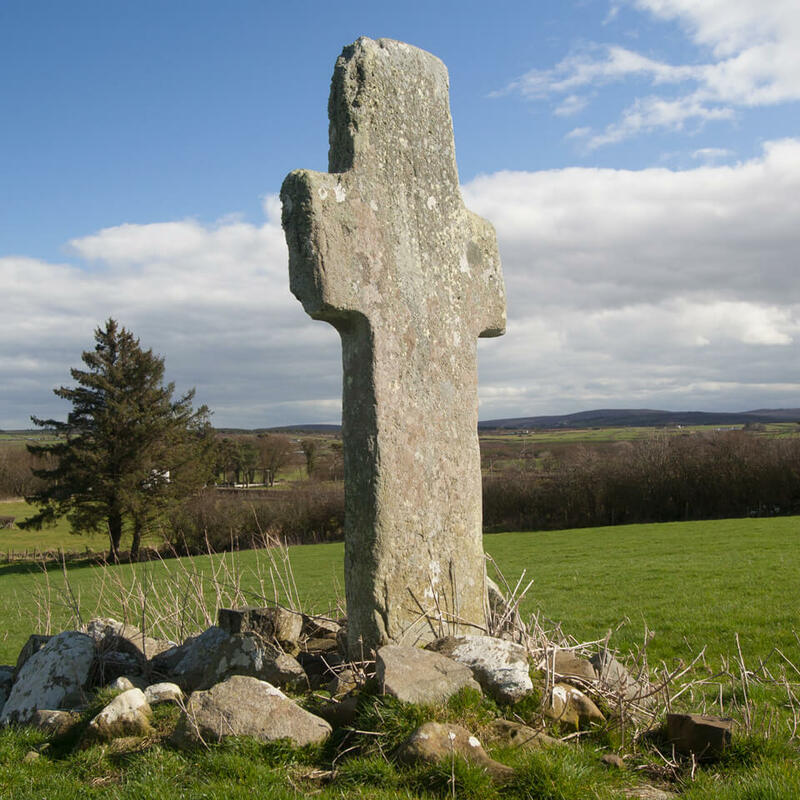 The East Cross is 2.87 metres tall and 1.31 metres wide and dates from the 10th century. 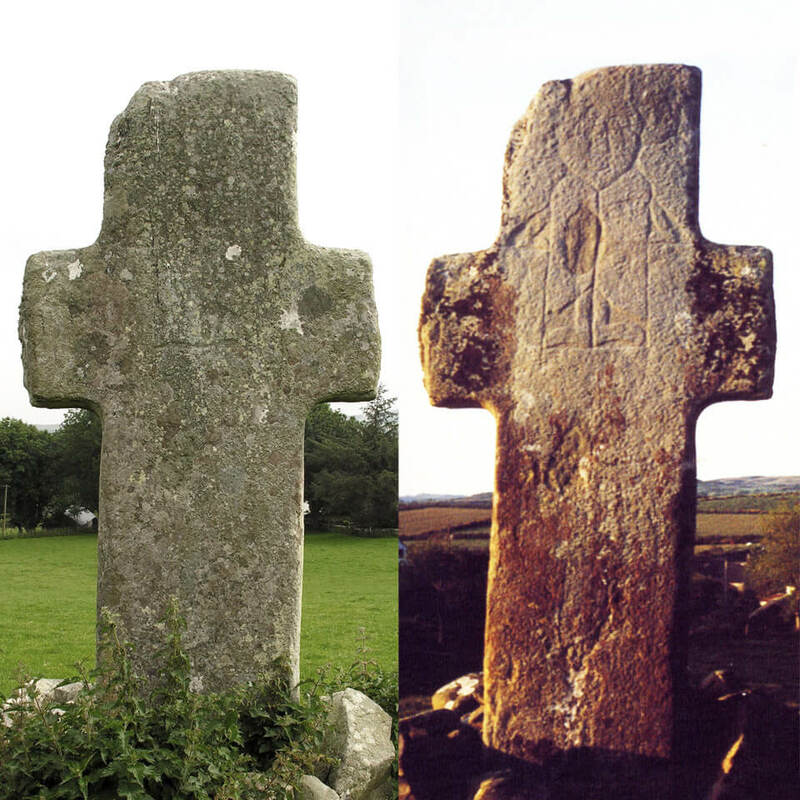 While the outline of this Cross is not as neatly executed as the West Cross it is more notable for the unusual carving on the upper portion of its South face. 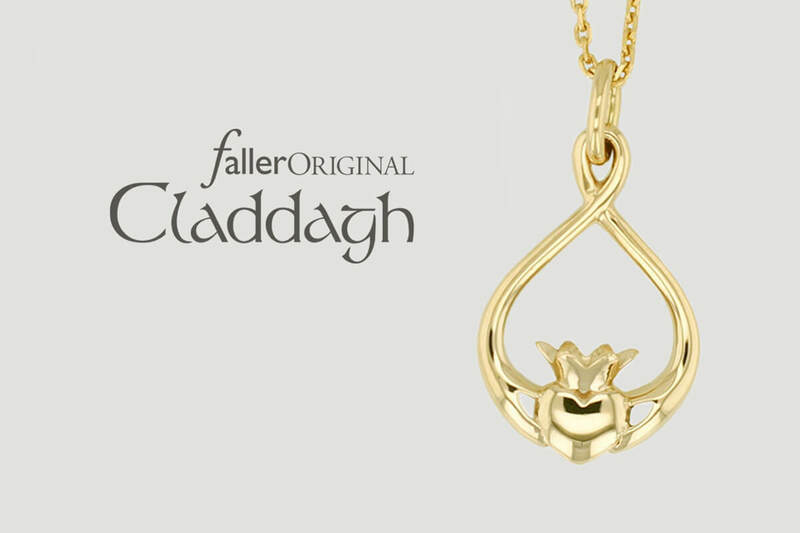 It is described by iconographers as depicting the Majestas Domini which translates to “Christ in Glory”. The details are very hard to discern today but can be seen in Mabel Colhoun’s photo taken in the 1940’s. A forward facing Christ whose arms are concealed by a long robe is flanked on either side by an angel. Much shorter than the central figure they both appear to be whispering into the ear of Christ. 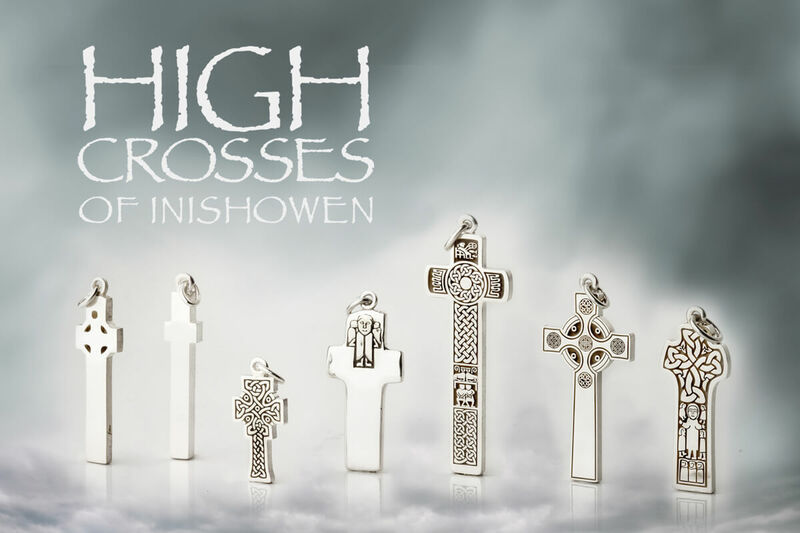 This is the most primitive in style and carving of the High Crosses of Inishowen. 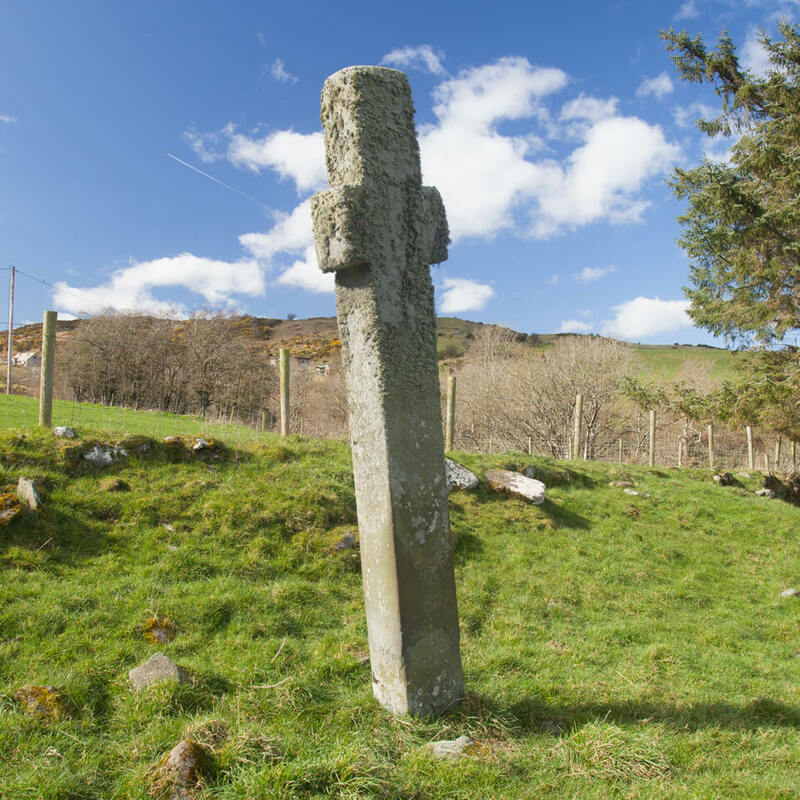 The West Cross is 3.33 metres tall with very short arms and no carving.